The Żuk (pl. beetle) was a van and light truck produced in Lublin, Poland, between 1958 and 1998 by FSC. It was based on FSO Warszawa which in turn was a copy of a Soviet passenger car GAZ-M20 Pobeda. The chassis, suspension and engine from FSO Warszawa formed the basis of the Żuk and the Nysa light vans designed in the late 1950s. Some 587,820 were made. The Żuk was mainly sold to state organizations and also to individuals. After 1989, with the liberalization of the Polish economy, the Żuk was able to maintain sales to the traditional markets and expand the number sold into private hands. 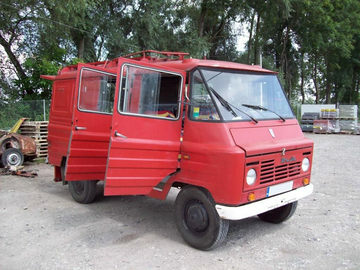 The final few years of production was in parallel to its successor, the Lublin van, as a cheaper alternative.